Apologies for our late start today, but we’ve been stressing out about the old £5 note today, because tomorrow is the 5th of May or it’s Cinco De Mayo in Mexico, but in the British Isles this means that the old trusty Five Pound note will go out of rotation after tomorrow. Yes, you cannot use it anymore, so you might as well spend it today, or lose out on the value of your £5 note entirely, unless you spend it wisely or exchange it in the bank today. With that in mind, we’ve decided to compile a list of things to do with your last Fiver (£5 note), before the deadline. Come we go! That’s probably the last time you will see the classic £5 note unless you find one crumpled up in your wallet or in between the cushions in your sofa. 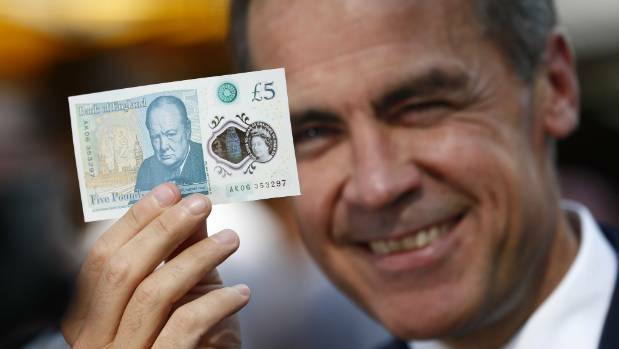 So, what should you do with this last £5 note? We will tell you, right away! Obviously, you should spend it at the pub on a pint, of course, for about £4.70 or so? Leaving you thirty pence that you could stick back as change in your pocket. Who loves a pint, as long as the pipes are clean? We do! You could rush down to the supermarket and treat yourself to some Twinnings English Breakfast tea for £4.99 for 100 tea bags, leaving you 1 pence over to give to charity. Those 100 tea bags should serve you well over the next 100 days. Or you could simply drink your old tea and stick that £5 note into your bank with the bank teller today before the cut off and then stick that Five pound on Marine Le Pen to win the French election. But, that’s none of our business. If and when she wins, just imagine how much tea you could buy? You could obviously run down to the Bank and exchange your Five Pound note for a New One, then spend it on whatever the hell you wish to. Success! Look at that smile! Now that you’ve either exchanged the Fiver or put it into your bank account, you could slap that £5 on a bet of Marouane Fellaini to score first against Celta Vigo in tonight’s Europa League Semi-Final 1st leg match. Which will probably never happen, but at least if he does score first, you’ll now have £60 instead, or at least you didn’t let your fiver go to waste for nothing. For £5 you could indulge in a horrible pre-made Sarnie sandwich from one of the UK’s most lovely supermarket chains, choosing a random concoction with a drink and a bag of crisps. Here take it from Gordon Ramsay, what are you? Hopefully that sandwich was good for that £5 meal deal that you eventually chose, but we bet it wasn’t very good at all. It never is, but that’s blighty for ya’! So, onwards we go and literally we mean onwards, as you could hop on the Tube, then get off and then get back on again, that’s about £5 on your Oyster Card and wherever you went, we sure hope you had a nice ride on the way there. Now, this one might be a bit untoward for some people, but if you have a drug problem you will understand us, as you could make that last £5 note, your one and only official last cocaine straw for use in the future. Feel the rush! But, maybe not and your heart will thank you later. Stay off drugs, people! You could stick it on the Lottery, that’s presumably two lottery tickets for a cool £4, leaving you £1 left to go and eat a cheeseburger from McDonald’s in delight, as you imagine all you will do with all those millions that you will definitely WIN! See with all that good advice of uses for your last Fiver, it will not go to waste, not in the slightest, with all these great ideas we’ve just given you, you should be able to enjoy this day, the 4th of May. May the 4th be with you, because your old Fiver won’t be with you after the 5th of May, you see?